The internet has become an integral part of human civilization. Every day, thousands of new users are gaining access to it. It’s not just about social media, though: The internet is changing the way we conduct monetary transactions. Even governments are using the internet for important missions. With such huge implications, threats also have become more dangerous. Too much is at stake. This is why the global antivirus market is booming. According to SBWIRE, the global antivirus-software market is set to reach a compound annual growth rate (CAGR) of 18% by 2022. But due to the availability of tons of free alternatives, it’s not easy to get the attention of this large user base. There are millions of people relying on Avast Free Antivirus, AVG Free Antivirus, and many more. From our analysis of our own advertising data, we’ve found that the top antivirus companies are spending heavily on one thing: display ads. Some of these companies are creatively running ads on unrelated topics to get good conversions. That is just one example. Bitdefender is the only non-U.S. company on the list. It was founded in Romania back in 2001 and, as of 2017, has acquired 500 million users worldwide. The company’s annual revenue is estimated to be about $140 million. 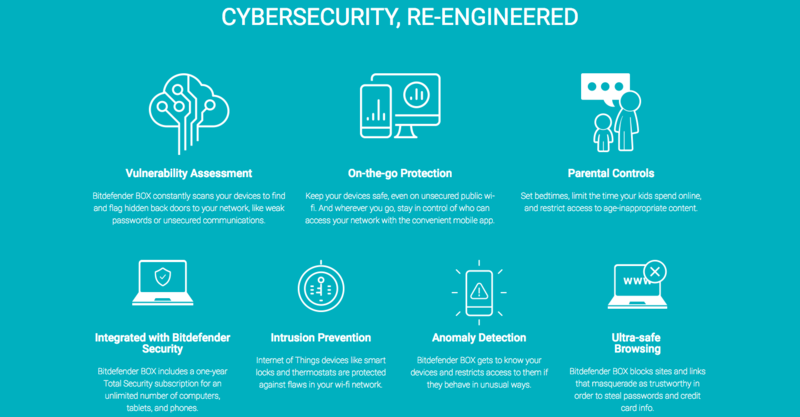 While everyone else on this list is concentrating on antivirus software, Bitdefender is spending tons of ad money to sell their antivirus hardware. In the past 24 months, Bitdefender spent $17 million, of which $11.9 million was spent on Google Networks and $3.6 million was spent on direct buys. Bitdefender spends more money on mobile than it does on desktop. Most of its ad spend is concentrated on the iPad. 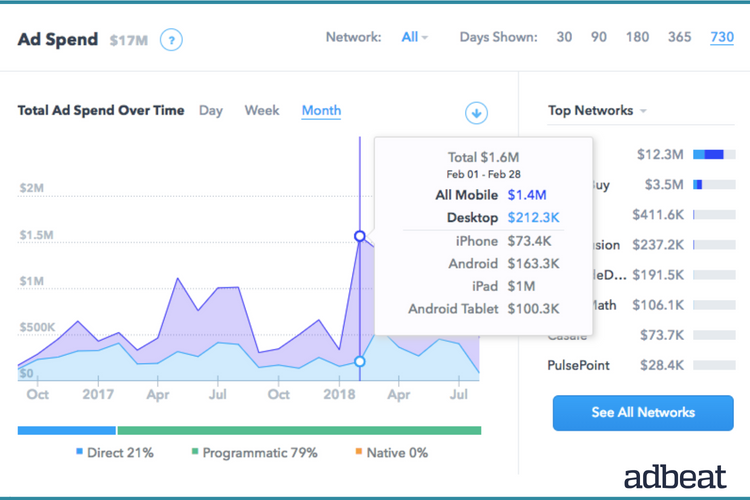 For example, in February 2018, about $212K was spent on desktop while $1.4 million was spent on mobile, of which $1 million targeted iPads. 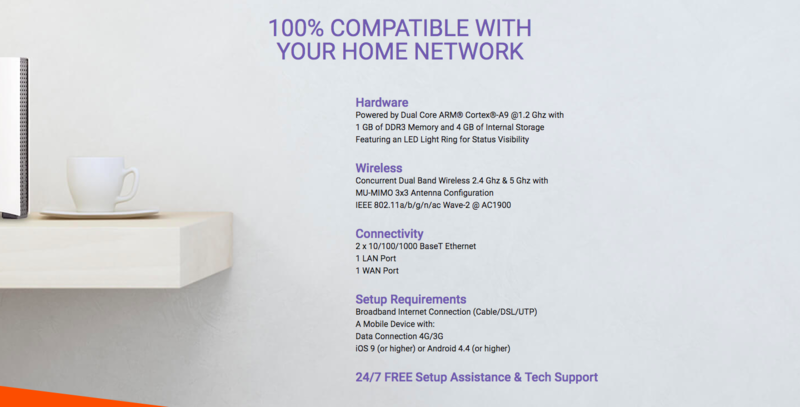 The reason could be related to what they are selling: “The Bitdefender BOX.” It is a Wi-Fi router that also acts as a security device for all of the devices connected to it. This product appeals to people who own more than two devices. When it comes to people who have an iPad, we can almost be sure that they will also have a mobile phone and a computer. So this audience would be much better to target than desktop or mobile phones users alone. All of Bitdefender’s publishers cover technology and computers. Their biggest publisher is PCMag. The company spent $1.5 million running ads on PCMag, of which $1.3 million was for direct buys. Most of this money was spent to be featured on the homepage. Other technology-related publishers include PCWorld, MacRumors and TheVerge. Recently, Bitdefender also spent heavily on wikiHow, targeting pages related to the Nintendo game Animal Crossing: New Leaf. People playing the game will use consoles like the Nintendo DS, which requires a Wi-Fi router. This is an excellent strategy to get exposure among these users. Initially, they used only image-based ads. But slowly, over the years, they’ve migrated completely to HTML5 ads. Though the CTA “Buy Now” is part of the ad copy, they haven’t added a button to make it more clickable. Bitdefender’s landing page looks very modern and stylish, with diagonal lines separating sections of the page. They’ve used a background image of a little kid using a PC. This is a great way to trigger concern in customers when it comes to their children’s safety. When it comes to landing-page copy, they’ve done everything in the book to improve conversions. First, they’ve mentioned their USP as the only solution to protect all devices in one go. Another interesting pointer is to generate FOMO(fear of missing out) by slashing prices. Also, the big CTA button that reads “Buy Now” is standing out from the rest the content and won’t be missed by anyone. These are trust signals to convince visitors of the product’s quality. The last section consists of a very appealing HTML5 animation that’s similar to the ad creative, again signifying how it protects every device. 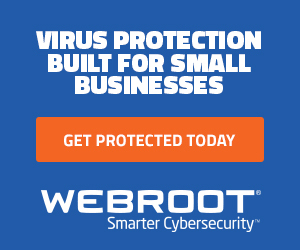 Webroot is a private company founded in Colorado in 1997. Since then, they have expanded globally, with operations in Australia, Japan, Austria, the United Kingdom, and the Republic of Ireland. The company’s annual revenue is $25 million, and they have been on a double-digit YoY growth spree for the past four years. In 2014, they decided to revamp their antivirus product completely and run it completely in the cloud. Thus it doesn’t use up any of the local computer’s resources. 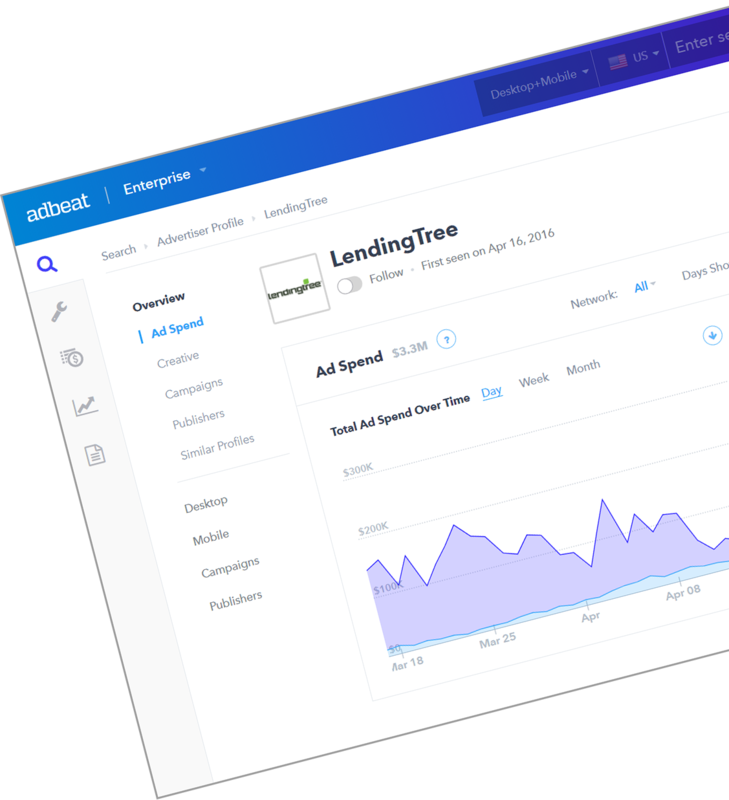 Over the past 24 months, Webroot has spent a total of $3.6 million, of which $3.1 million was used to place ads on Google Networks. They ramped up their spending over the past year. That could be a result of the tremendous growth they’ve experienced recently. While they’ve experimented a little bit with mobile in the past, they are spending all of their money on desktop ads. That is because their main target is the computer market, in both homes and small businesses. 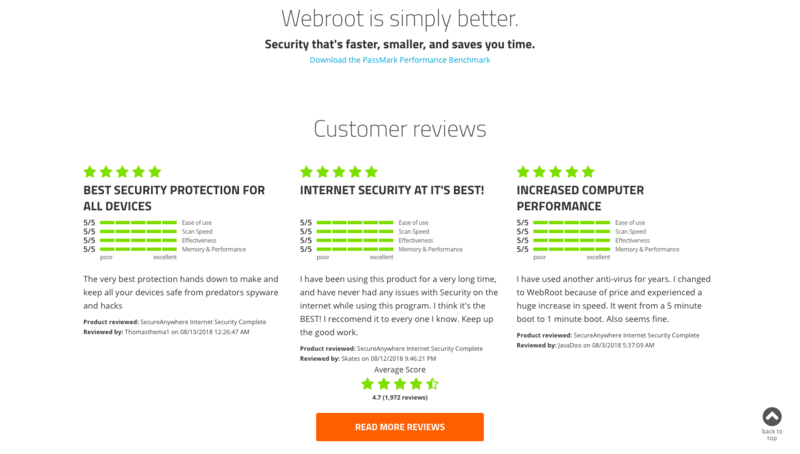 For both websites, Webroot has concentrated on the homepage the most. That could be an attempt to capture the home PC market. That’s logical because those are keywords that are relevant to what the company’s product is all about. Webroot is also migrating from image ads to HTML5 ads. Though they haven’t completely shifted, they are going in that direction. 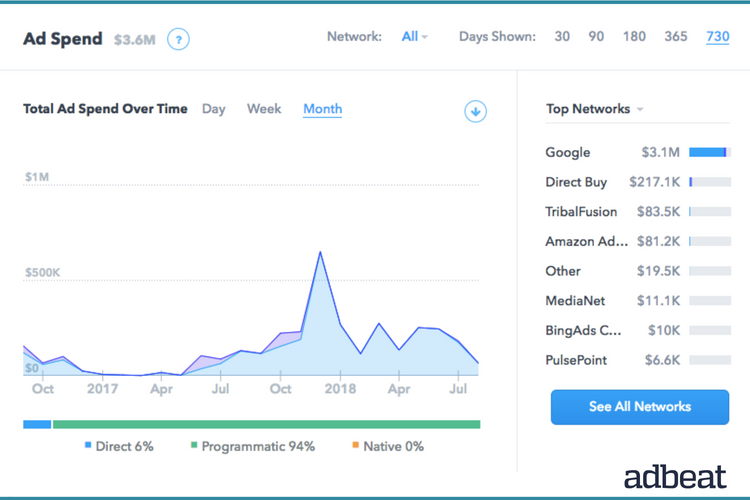 As you can see, in the last 24 months, they used 60% image and 39% HTML5 ads, while in the last month, 60% of their ads were HTML5 and only 34% were image-based. 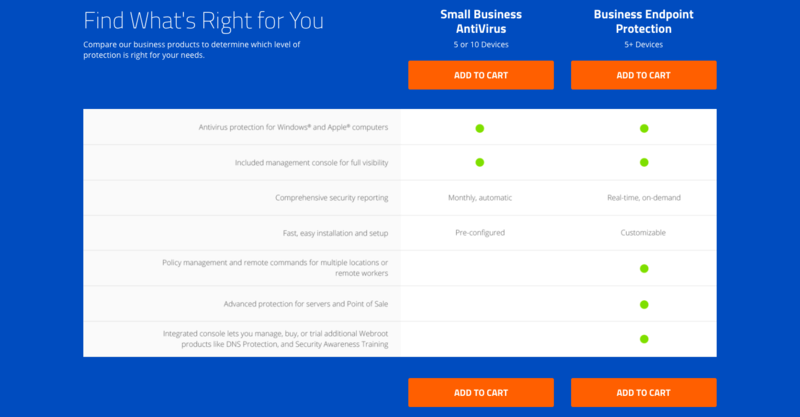 In the HTML5 version, the “Get protected today” CTA button keeps on blinking in orange and blue. Again, they’ve put more money into the HTML5 version of this ad. 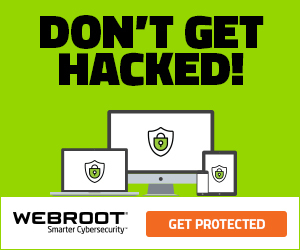 Webroot has used contextual landing pages for each ad. Ads targeting small businesses are taken to a particular page, and ads targeting individuals are taken to another. However, there are striking similarities in the layout in most sections of the pages. McAfee is one of the largest dedicated security-technology companies and was founded way back in 1987. Intel acquired the company in 2011 for $7.68 billion and renamed it Intel Security. However, the company was spun back from Intel in a deal with TPG, with Intel now owning only 49% of the shares. McAfee has a revenue of $2.5 billion every year and is growing at an annual rate of 6.6%. They are set to be valued at $102 billion by 2020. 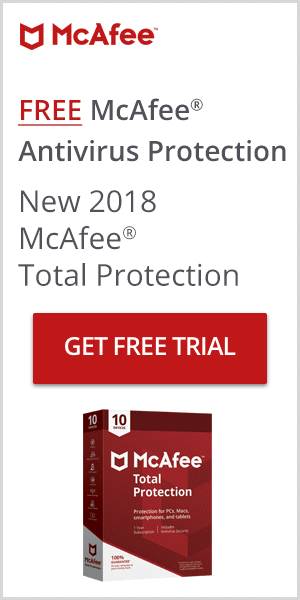 McAfee has a great a suite of antivirus products that cater to everyone from individuals with a PCs to multimillion dollar companies with huge servers. In the past 24 months, McAfee spent $2.9 million. Their spending has increased significantly recently, after splashing more than $800K just during the months of April and May. Most of their money is spent on mobile ads. This could be an attempt to take over the “App Store,” since most of the ads are targeting iPad users. While they’ve concentrated mainly on Google Networks, McAfee has also tried out other networks, such as Conversant and MediaMath. They’ve also tried native advertising via Outbrain. Their biggest publisher in terms of money spent is Whitepages. However, it looks like a really expensive experiment gone wrong. As you can see, the ads were stopped after just 28 days. Business Insider and TechTarget are the major publishers the company has accessed via the Conversant channel. With Business Insider, McAfee tried placing ads in trending news. It seems to be a failed experiment — they stopped running ads there after 74 days. TechTarget has more educational posts related to viruses and other threats. This seems to be working pretty well, even after 280 days. With McAfee, we can see an opposite trend compared with the others on this list. They are slowly moving toward image-based ads. 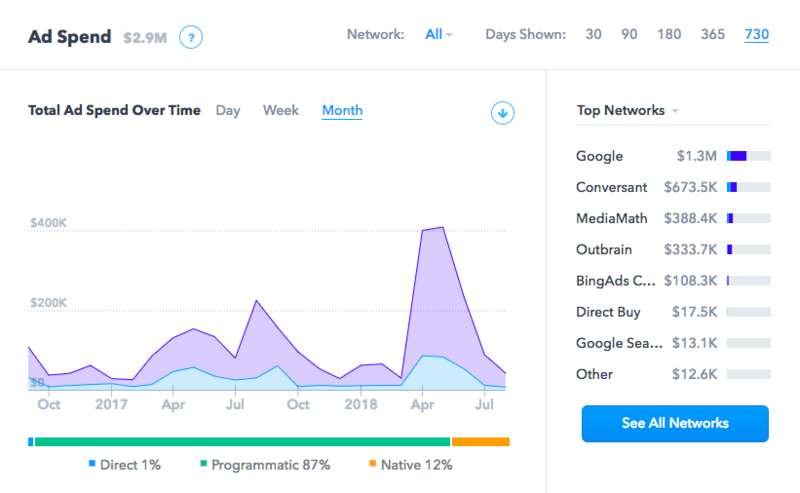 In the last 24 months, they ran only 41% image-based ads, while in the last month, 70% of their ads were image-based. They’ve used the image-based ads to increase the downloads of their free software. People who click on the HTML5 ads are taken to a page that’s designed purely for exposure to their enterprise products. They have a “Watch Video” CTA button that’ll open up a video explaining how they’re changing the world. As you can see, there are two constant CTA buttons that remain in all of the sections: the “Contact Us” and the “Feedback” button. 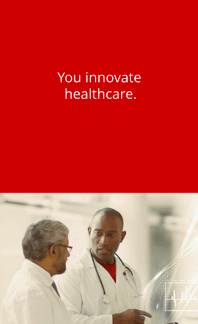 Mcafee is not looking for direct conversions from this page. They are trying to generate enterprise leads. The story is a bit different for their image-ad campaigns. Those ads take people to a sales page, where they directly try to sell their software at a 50% discount. To the right, there’s a comparison section to show extra features that most of their competitors don’t have. At the end of the page, there’s a list of other products with discounted pricing. There’s also a “Buy Now” CTA button under each product that takes people directly to the checkout page. A significant trend we see is that while two of these companies are moving toward HTML5 ads, one is moving toward image-based ads. What this shows is that even within an industry, the type of ad creative that works changes from company to company. You can only know what works by doing some A/B testing. Webroot’s way of testing is probably the best way to find this out. They’ve used the same design in both HTML5 and image ads. Also, Macfee’s ad strategy is a great example of how you have to completely change the tone and style of ad creatives and subsequent landing pages based on the target audience. While all three companies have a sound strategy, Bitdefender using wikiHow pages to attract the Nintendo crowd is a masterstroke. That shows that you need not always target pages directly related to your keyword. Instead, try to find pages that are less obvious but very relevant. 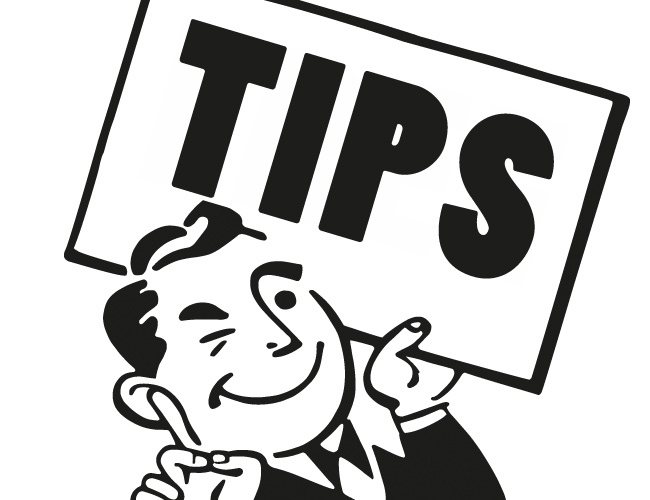 Want to know the secret ad strategies of your competitors? 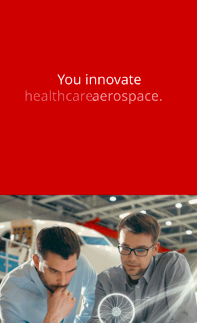 Check out our free tool!